The town of Milford, N.H., revived a centuries-old tradition Wednesday afternoon when the original Paul Revere bell that hangs in town hall was rung 41 times in honor of former President George H.W. Bush, who died last week. The bell, built by Paul Revere in 1802, has chimed after the death of nearly every American president after George Washington. It also chimes on the hour every day, said Polly Cote, the town historian. Perkins Nichols, a Boston man, gave the bell to his friend, Reverend Humphrey Moore, as a gift when Moore became Milford’s first settled minister about 216 years ago, according to Cote. Nichols had gone to Revere’s foundry in Boston and asked him to make “the best bell money could buy,” Cote said. The bell was moved from the Congregational Church to Milford’s town hall in 1870, and has marked the hour and the deaths of presidents ever since, with the exception of that of Ronald Reagan in 2004, when the bell ringer forgot to carry out the tribute, Cote said. 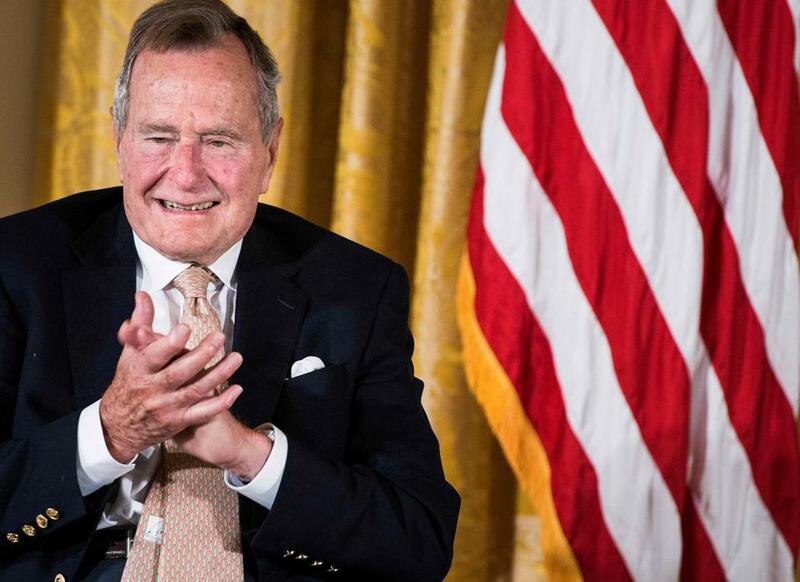 Bush, the 41st U.S. president, died Friday at the age of 94. His funeral was held at the Washington National Cathedral Wednesday. The bell is the ninth-oldest Revere bell still in existence. It is 30 inches tall and weighs 802 pounds. Revere cast about 135 bells in total, but only 23 remain, according to the town’s website.